Why yes, that is a 75% credit card rewards bonus! The BankAmericard Travel Rewards card gets 1.5 points per dollar earned, and the points are redeemable on travel at one cent per point. 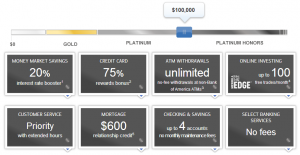 A 75% bonus would boost it to 2.625% rewards, and that’s for all spending with no annual fee. Apparently this program is currently being rolled out but is not yet available to all customers. So far, only residents of KS, MO, NV, SC and WA are eligible. One final note: if you look on the Travel Rewards product page, it says that you get a 10% annual bonus on all your points earned. Is this in addition to the 75% bonus, or does the 75% bonus replace this? If it’s in addition, would it come before or after the 75% bonus? Good questions. Does Bank of America know the answer? Another good question. New entrants are still flocking to prepaid. I linked to a couple on Flyertalk last week, plus the T-Mobile card, plus there was the Walgreens announcement last year. Do you think that’s all for the year, or do you think there will be other companies jostling for position in an already crowded marketplace? On a related note, since nobody noticed when I very subtly published this link before, Jackson Hewitt has a Vanilla Reloadable card now. I’ve been debating whether or not to mention it, but there have been a bunch of new cards mentioned on Flyertalk recently and I figured this one probably won’t get too popular since Bluebird is still better. The move would expand Apple’s reach into a competitive online payments field and potentially give it a new revenue source as Chief Executive Officer Tim Cook looks to reignite growth. Apple hasn’t entered a new product category since the 2010 debut of its iPad tablet and profit and sales growth have slowed. A deep-pocketed company looking for growth, possibly willing to pay a lot of money for that growth? I’m intrigued! Similarly, U.S. Bancorp will unveil a brand new line-up of American Express cards later this year, and has said it will focus on marketing them to existing customers. And keep in mind we just saw Comenity Bank go big as well. Let the good times roll! The JH card looks interesting! If I can pay cc bills directly from this card, it would be good to have in the arsenal. I can’t find any useful bill payees. I will give it a shot because it still provides a cheaper and simpler way than VGC -> MO. VR -> JH -> MO saves $2 per thousand and allows buying full value MOs rather than splitting transactions. Certainly not worth rearranging your financial life around, but if you already have funds with ML, it’s a nice perk. 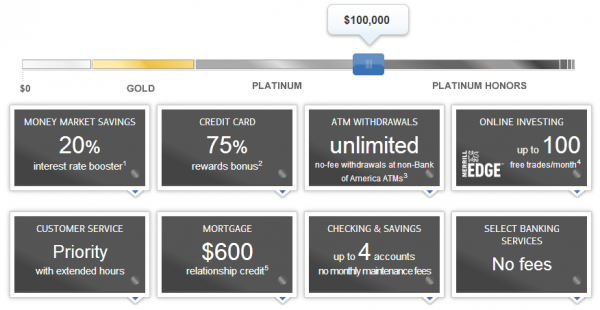 In response to One final note: if you look on the Travel Rewards product page, it says that you get a 10% annual bonus on all your points earned. Is this in addition to the 75% bonus, or does the 75% bonus replace this? If it’s in addition, would it come before or after the 75% bonus? Good questions. Does Bank of America know the answer? Another good question. So you get the 75% but not the 10%? That’s good to know, thanks. But this post is about the “Travel Rewards” card no? Not the “Cash Rewards.” Having just opened a BOA bank account and Travel Rewards card here’s hoping for the full 2.625% + 0.15% bonus!